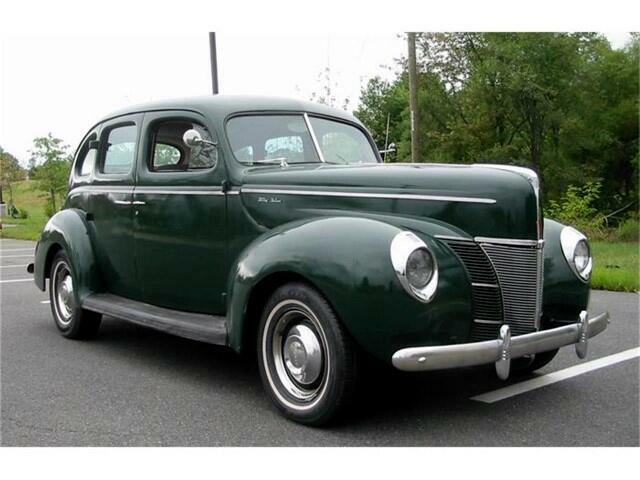 This is a 1940 Ford Four Door Sedan with the original flathead V8 engine, with Offenhauser heads and intake manifold. It has a Chevy S-10 five speed manual transmission added along with a late model rear end. The closed drive shaft has been eliminated, in favor of a conventional open drive shaft, and dual rear leaf springs added with the new rear. This makes for an excellent cruiser. All the glass has been replaced with new tinted glass. Runs and drives out very smooth. Body is very solid with an older amateur paint job. Undercarriage is super solid. Message: Thought you might be interested in this 1940 Ford Deluxe.